If you missed it - I recently announced that I was selected to be a brand ambassador for Cousin Corp. - an AWESOME jewelry supplies company! I'm so excited to be working with such a cool company! 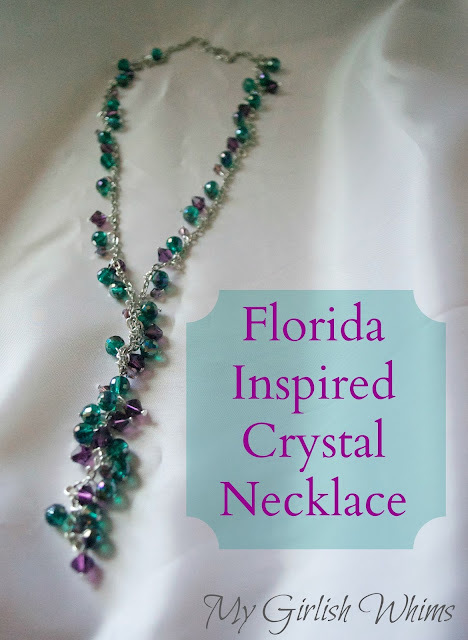 My first assignment was to create any piece of jewelry that drew inspiration from "Florida." Cousin is based out of sunny Florida, so this was a very fitting first theme! For me when I think of Florida I think of the BEACH! And I think of beaches that are actually nice. Being from the philly suburbs, I've grown up always going to Jersey beaches when we want a quick gettaway to the beach. And now, no major hate here towards Jersey, but the ocean is just NOT the cleanest. After you get into a couple inches of water you can't really see your feet any more!! So, when I think of Florida I think of the beautiful, sparkling ocean (that you can actually see your toes in!!!) 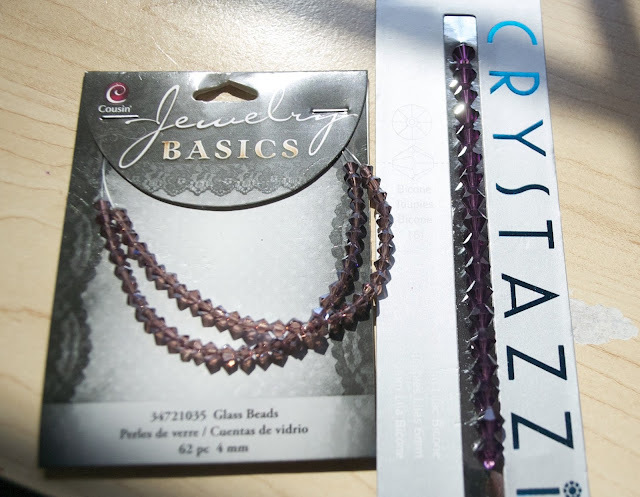 Nothing says sparkle like a some crystals, so that's where my design inspiration came from! 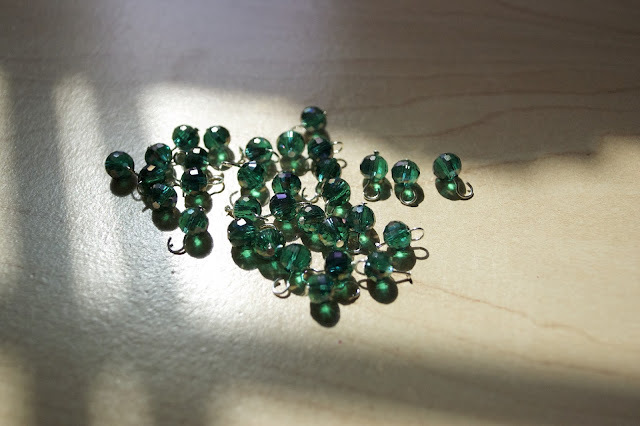 My first step was to turn all of the beads into a charm - I strung them onto a head pin, bent it 90 degrees with needle nose pliers, trimmed all but about an inch with wire cutters, and then used round nose pliers to bend the pin into a loop. Then I started to attach my beaded charms through-out the length of chain. 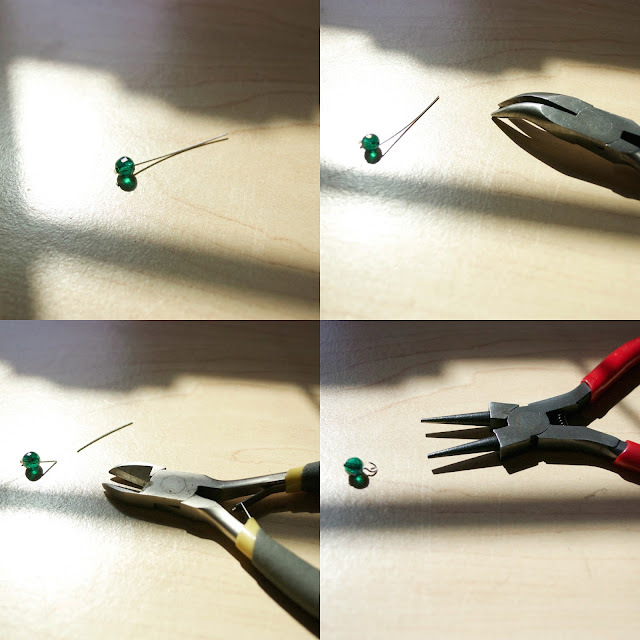 Just open up the loop you already created with needle nose pliers, string it through the chain, and then squeeze the loop shut with pliers again. 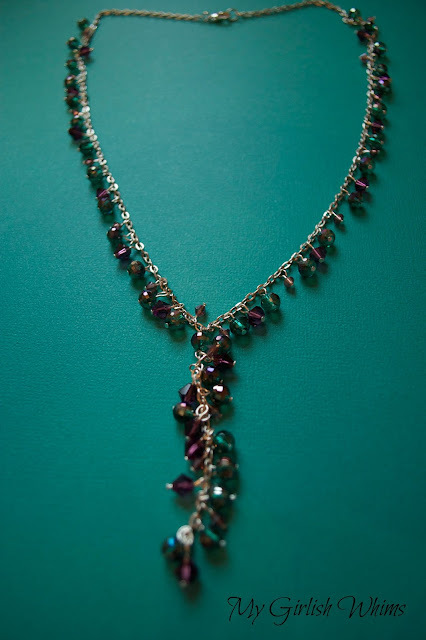 I did the same thing with my purple beads and mixed them through-out the necklace as well. 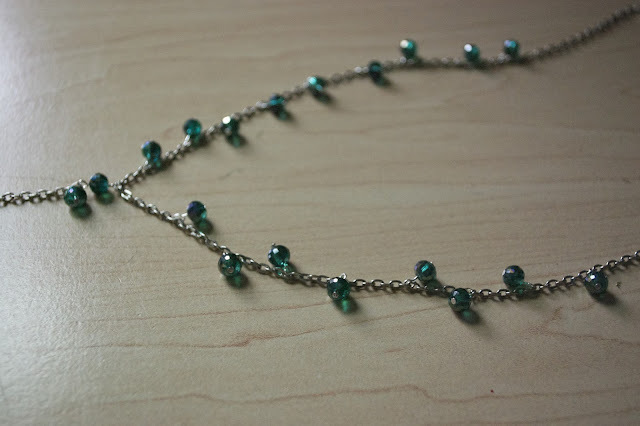 After all my beads were attached I finished the necklace by attaching a clasp to the back of the necklace using jump rings. Here it is with all the beads on! I will actually be IN Florida in the next week! Hubby and I are going on our first cruise and the first port is Florida - I'll have to remember to pack this little beauty to wear in the inspiration state!! 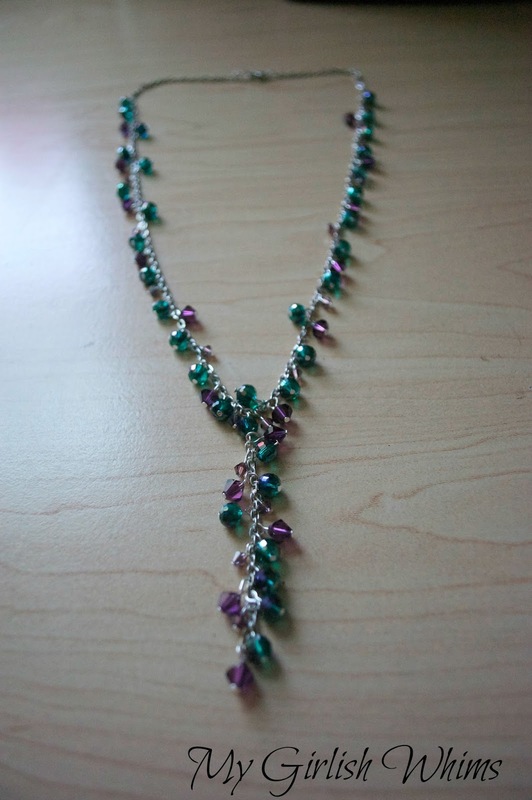 Disclosure: I was provided materials to create this necklace but was not compensated. I love this - it is so pretty. Maybe I will try to make one one day. Pinning so I remember. This is beautiful. I love the color combo. The purple beads are so pretty. 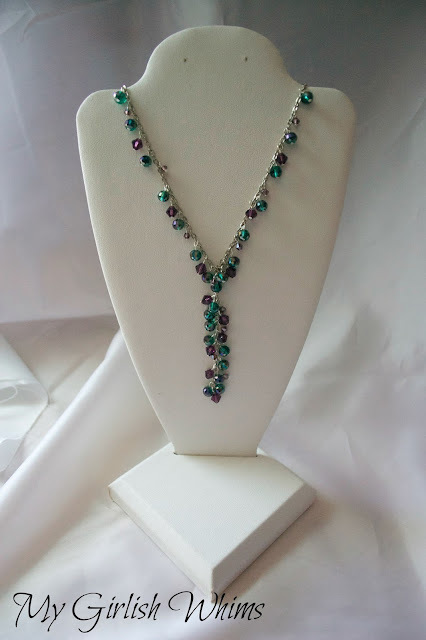 Perfect color...I live on the Gulf coast of Florida (called the 'Emerald Coast')where the sand is white and the coastal gulf water is a beautiful array of green colors, for most of the year. I love this necklace. Thanks for sharing your tut....now I really want to make one for myself.